Tiger Rip Lite Cohesive - Feel Right, Feel Ready! Tiger Rip Lite Cohesive is a great multi-tasker and a kitbag essential for any athlete or medical professional! 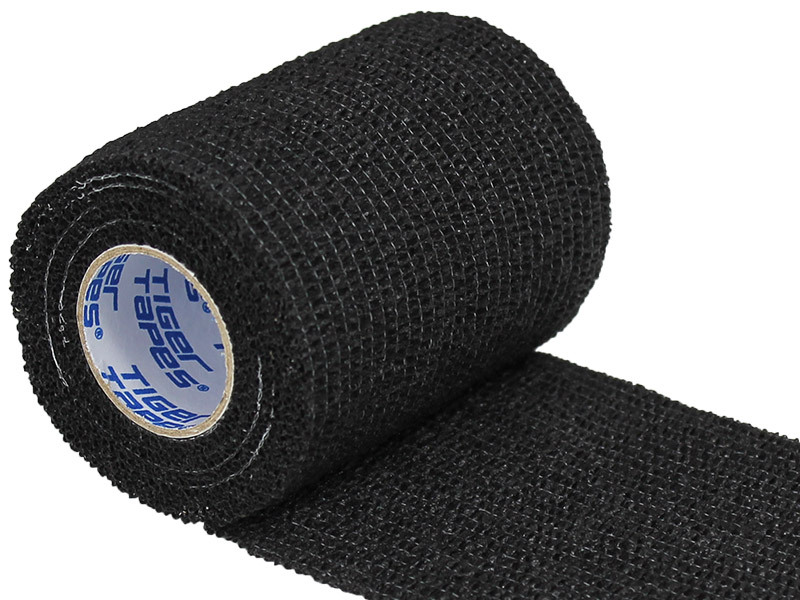 Once applied, Tiger Rip feels right, it delivers compression support without the sensation of tape applied to the skin. Why Tiger Rip Lite Cohesive? Tiger Rip Lite is a lightweight cohesive stretch bandage made from a hand-tearable woven cotton spandex which allows for maximum stretch. It provides excellent support and compression without adhering to the skin, making it easier (and less painful!) to remove than typical adhesive tapes. As cohesive bandages aren't sticky, its easy to unpeel and reappply if there's a mistake in application or if you require a tighter compression. You could even use the same piece of tape multiple times! Tiger Rip Lite feels right when you need support and you can be totally sure will stay in place without slipping or moving. Moreover, its water, sweat and dirt repellant. 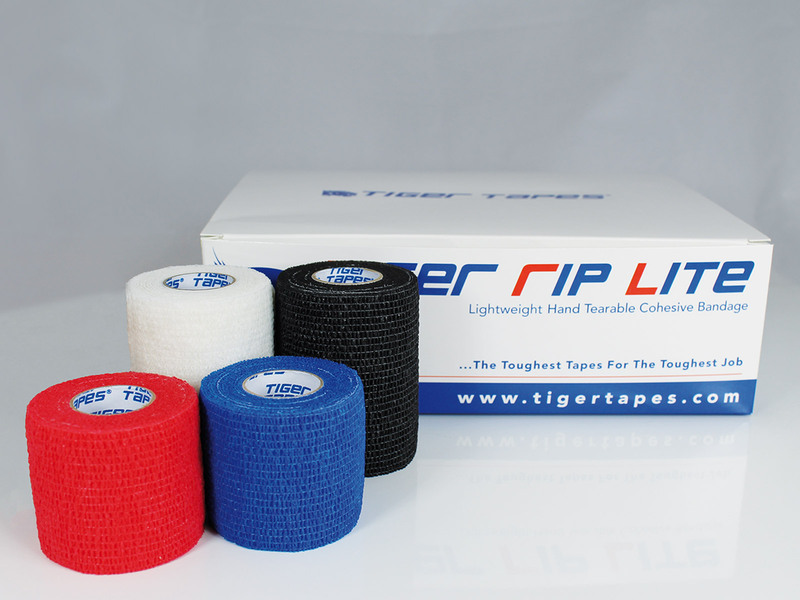 One of the main advantages of Tiger Rip Lite is its versatility; it can be used to lightly wrap and support minor injuries or it can be stretched tightly around the skin for heavy compression. Ideal for strapping and providing support. 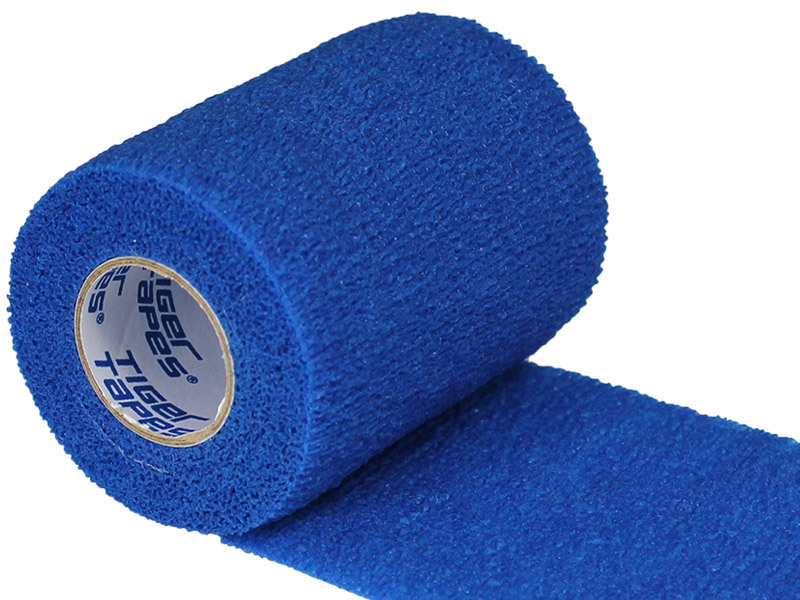 It can be used as a compression wrap for securing dressings and ice packs. Ideal for fixing braces and lifting blocks in place. Used in football to secure shin-pads and offer added protection to the goalkeepers hands, fingers and wrists. Complies with FIFA sock colour ruling. Tiger Rip Lite is a lightweight cohesive stretch bandage that provides excellent support and compression without adhering to the skin. Simple to hand tear without fraying. Water Repellent and it simply won’t slip or move. Superb elasticated strapping for ankles and support requirements. Use as a fixation bandage or lightweight strapping. Excellent as a sock tie to comply with FIFA sock colour ruling, available in white, blue, black or red. I tried this for the first time at the weekend instead of Powerflex, I was sceptical at first as have had no problems with Powerflex, but club has cracked down on spending even more these days! Was very impressed on how well Tiger Rip Lite performed, two of our players preferred it on their ankles as they said it felt more comfortable. Thoroughly recommend this strapping!